One of the great things about the days of the wrestling territories were the different voices that came out of each region. Whether it was Bob Caudle in the Carolinas, Larry Matysik in St. Louis, or Bill Mercer in Dallas, every company had their own signature sound, thanks to the guy calling the action. He was the main man. The Voice of the People, for an entire generation… and beyond. 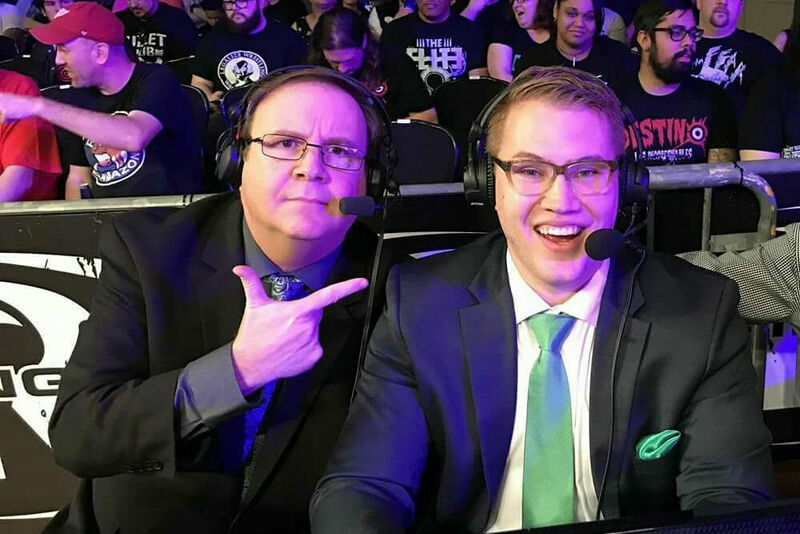 With a handful of independent wrestling companies now gaining TV, or using streaming services to release their own shows, there have been opportunities for a new generation of announcers on several platforms. A fresh crop of voices— calling a type of action that’s a far cry from those old days on the black-and-white set. 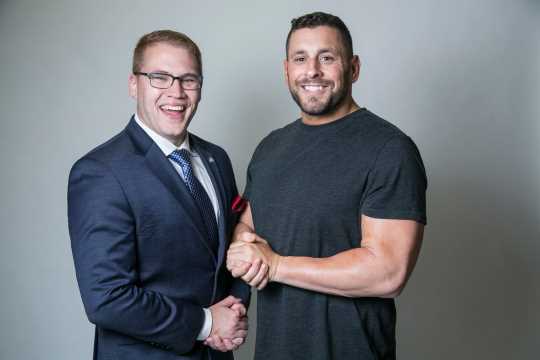 Ring of Honor’s Ian Riccaboni is a part of that upcoming generation of “#1 play-by-play” guys, the ones who have emerged over the last decade. Since taking over the main microphone from Kevin Kelly less than two years ago, he’s gone from a steady hand to a budding star. And, if things hold to form – in just a handful of years – we may be calling him the very best wrestling announcer in the world. 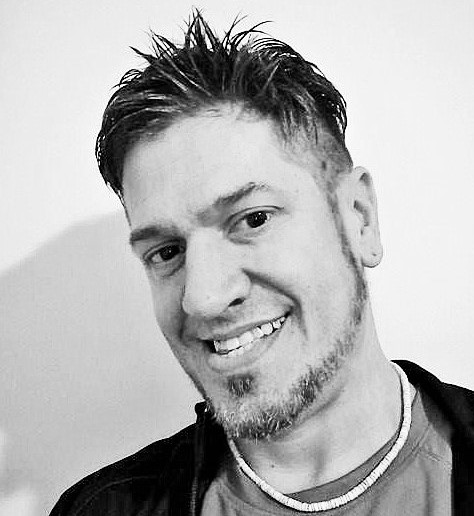 In many ways, Riccaboni can be compared to fellow broadcasters Josh Mathews of Impact or Matt Striker of Lucha Underground. Each has progressed through the ranks to be anointed the on-air voice of their respective companies, and all at a relatively, young age. All three have also found success by carving out an individual style, and by becoming valuable assets to their companies away from the mic. They work as producers and spokesmen, along with their television duties. But unlike his contemporaries, the 31-year-old doesn’t bring the same, punky edge that seems to be prevalent among today’s announcers. While Striker and Mathews give you more of a straight on, ‘in-your-face’ delivery, Riccaboni comes off like a kid in a candy store when he’s calling the action. He’s typically even-tempered, with his natural excitement coming through in his more amplified explanations. That measured enthusiasm has endeared him to the ‘smart fans’ who closely follow the company, and can see that none of his emotion is scripted. 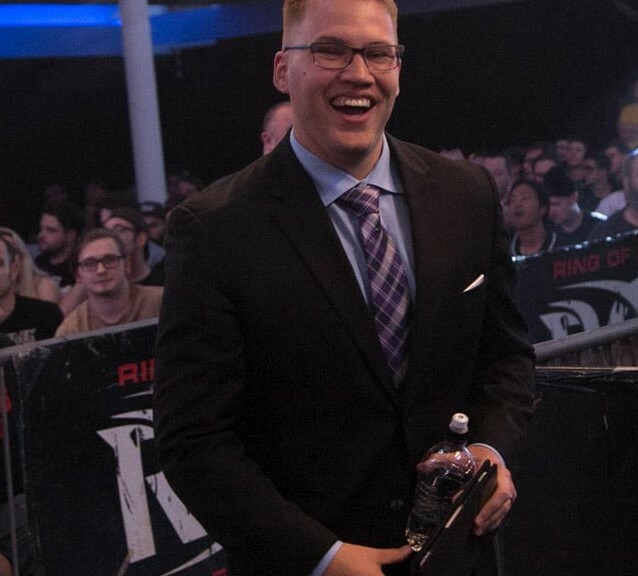 With his background in local sports and his Philly roots, Riccaboni grew up a fan of ROH, and was groomed by a great announcer in his own right: Kevin Kelly. So it seemed like a perfect fit when he assumed the role in early 2017. Despite this, the audience wasn’t initially sure what to think of the switch, because Kelly had been so good for so long. But after about 16 months as the top guy, Riccaboni has clearly won the faithful over. He’s now simply the hometown boy who made good, and more importantly, a fixture for the company today. I t hasn’t always been under the easiest of conditions, either. During his tenure, he’s worked with a myriad of different partners. While Riccaboni has shown great chemistry when paired with BJ Whitmer and Caprice Coleman, his ‘most-of-the time partner’ is the infectious Colt Cabana. Behind Riccaboni’s running commentary, Cabana’s job during the broadcast, is to simply, Be Colt. And, he does it well. The wisecracking veteran has had a big hand in guiding Riccaboni through the learning process. For Riccaboni – who at first glance looks like he should be competing in a science fair – The Coltster is an excuse to let his cropped, red hair down. Their comedic banter comes off naturally, and the exchanges help flesh out the youthful broadcaster’s on-air persona. In one minute, he can go from making a serious call, to dropping an inside joke with his eccentric colleague. Watching the pair over the past few months, you can see them continue to gel. On the call for Best in the World on June 29th, the duo shined especially bright together. Every great play-by-announcer needs a good color commentator, and the chemistry and comfort level between Riccaboni and Cabana is truly special. But, there’s also another kind of comfort level. The one that Riccaboni enjoys with the audience, and the one they have with him. Just like most of the people watching… he is an excited, but still educated, wrestling fan. He calls it like he sees it and never talks down to those watching. He bases his enthusiasm level on what’s happening in the ring… just like the audience he speaks for. So, in many ways, the Philly boy really is the perfect fit. While Riccaboni may not be at the level of Kevin Kelly or Jim Ross just yet, it’s time to at least start mentioning his name in that company. And remember: this kid’s only going to get better. He’s still developing his skills. And, based on where he’s sitting, it looks like he’ll have some historic matches to call along the way. So, as Ring of Honor continues to grow, fans should be able sit back and enjoy what they hear for a long time. After all, they’ve got the Best young announcer In The World today.